What does a professional notice when they attend a wedding? 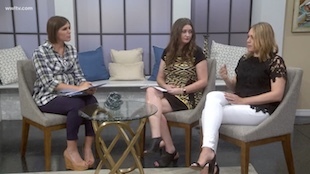 In this month’s WWLTV/WUPL New Orleans Bride segment, editor Melanie Warner Spencer and Katie LaCour Schackai, director of sales at Joel Catering and Special Events and Il Mercato share do’s and don’ts for your reception. Watch the video and check out our quick list below for reference. Don’t…let one particular guest who is a picky eater or has dietary restrictions dictate your menu. Do…let your caterer know about special needs so they can help you structure your menu or special plates for those guests. Any decent caterer should be able to accommodate you, and it should be something appetizing and delicious, not just a salad for vegans. Don’t…feel like you have to design the menu all by yourself. Do….work with your caterer on creative menu items and include a variety of food so everyone can find something they want to eat (rich, light, meat, veggie, seafood, etc). Think about combining rich/savory dishes with lighter dishes so that your guests can enjoy a meal that’s not too heavy, but leaves them feeling satisfied and ready for the dance floor. Don’t…serve very stiff drinks as a welcome drink for your guests. Do…consider something lighter, such as a French 75 or a New Orleans Buck. Don’t….spare on the bar service. You want guests to remember your wedding for the right reasons, and not that they had to stand in line for 20 minutes for a drink only to get offered domestic beer and wine. Do….have enough bartenders so your guests aren’t waiting a long time for a drink. Ask your caterer about how many bartenders they suggest to accommodate your guest list. Do…consider offering a specialty non-alcoholic cocktail such as a lavender honey lemonade for your guests who are pregnant or not drinking. Do…have food available for guests at the start or soon after the start of a reception so they aren’t famished and getting tipsy because of an empty stomach. Plus, it helps with “hangry” kids and adults. Don’t…create bottlenecks in your floor plan. Do….work with your planner or venue on a floor plan that will avoid bottlenecks, especially around the bars and food stations.